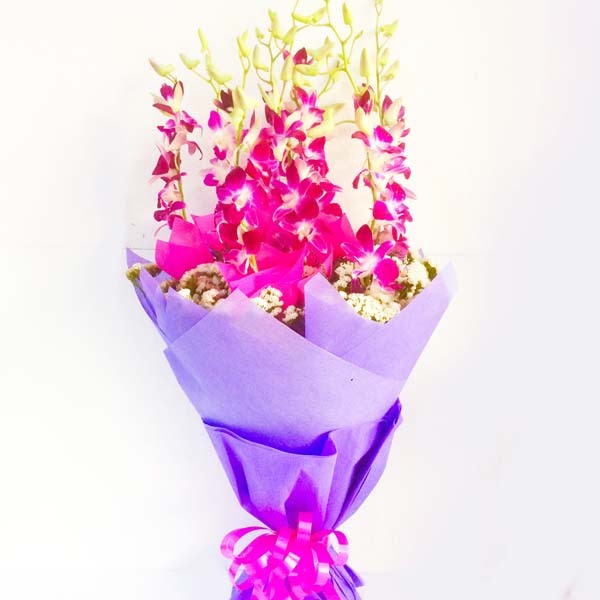 The roses are the perfect way of showing Love, Care, Romance & admiration. 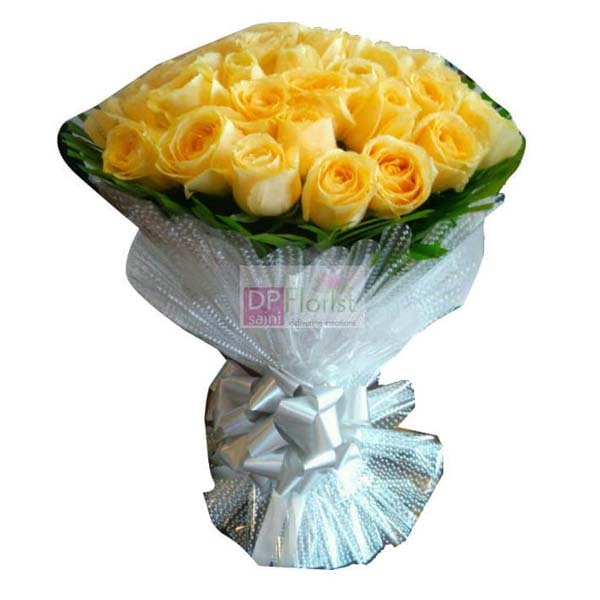 Tight bunch of 30 long stem Yellow roses nicely wrapped with lots of fillers and tied with pink color dori ribbon bow. 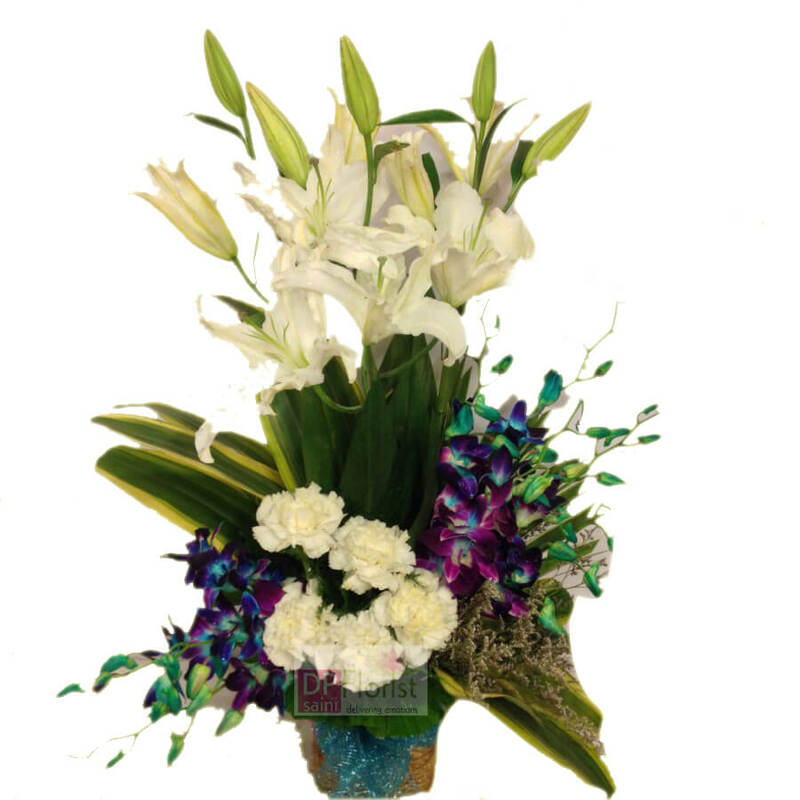 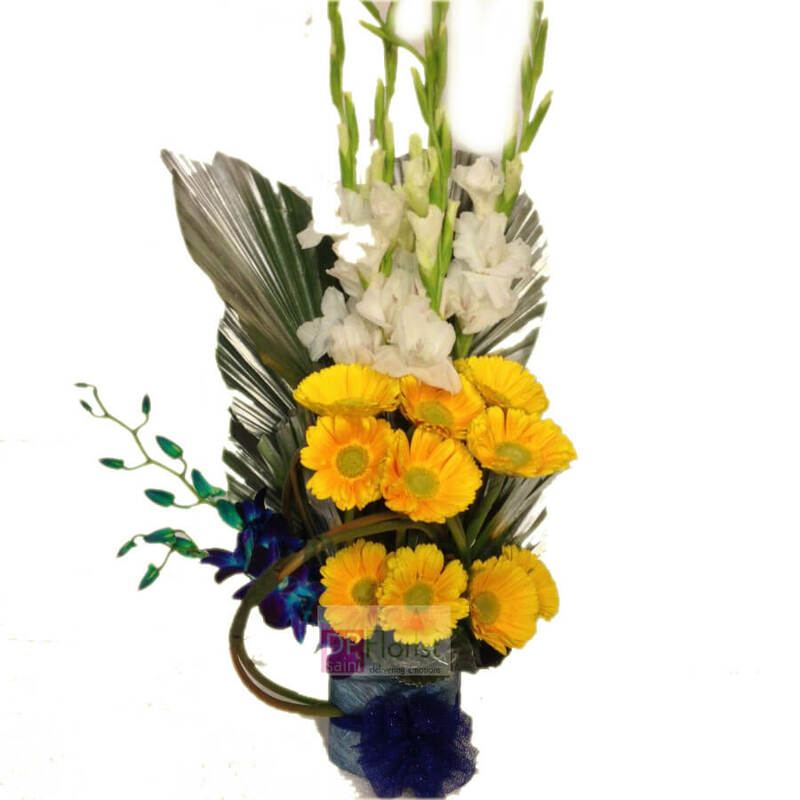 A bunch of 10 Red carnations and 3 Yellow Lilies gracefully decorated in a glass vase.